Guru Infomedia has been a trusted App development brand in India for a long time. 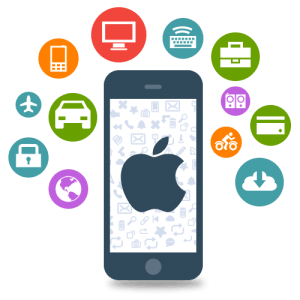 We have diverse experience in handling iPhone application development projects for our clients based all across the globe. Each application is created with dedicated professionals and advanced tools to offers a seamless user experience. We are capable of turning any of your app ideas into reality through our cutting-edge technology and detailed design solutions. The app development process starts with conceptualization and planning. Once the idea is accurately defined our team proceeds to the coding stage where ace codes are utilized to create a brilliant iOS mobile application. Testing is the key to ensure the app meets quality standards. This is followed by successful implementation. But even after delivery, we provide support to ensure the app delivers optimal performance. We provide strategies for your app promotion to enhance the reach of your iPhone App to a new audience to achieve your business goals. Our dedicated team of developers have extensive knowledge of Objective C language and are well acquainted with UNIX and Mac OS X environments. They work round the clock to develop stunning applications which run smoothly on iOS platforms. We aim to deliver the best iPhone applications development services within your budget. Contact us for a free consultation. Copyright © 2019 Guru Info Media. All rights reserved.